Yesterday evening, my wife and I had the special privilege of leading Second Passover Seder for a couple of ladies who are beginning to understand more of God’s Word and had never celebrated any Feast of the Lord. The Haggadah that we used included parts of Psalm 89 in the latter portion of the feast, and in preparation for the evening, I reread all of the Psalm and was struck by a couple sections. I will sing of the mercies of the Lord forever, I will sing, I will sing. I will sing of the mercies of the Lord forever, I will sing, yes I will sing. With my mouth will I make known, Thy faithfulness, Thy faithfulness, with my mouth will make known Thy faithfulness to all generations! I will sing of the mercies of the Lord forever, I will sing, yes I will sing! The chorus specifically comes from Psalm 89 and a recounting of God’s covenant with David and his descendant, the Messiah, who will sit on the throne forever. Significantly, as a covenantal God, He clearly connects ‘covenant’ and ‘forever’ in this passage. According to this passage, David and his descendants will forever be required to walk in the Lord’s Torah, judgments, statutes and commandments, a fact reiterated in Scripture in hundreds of places. More on this in a minute. Clearly, this ‘utterance of (His) lips’ is unalterable. 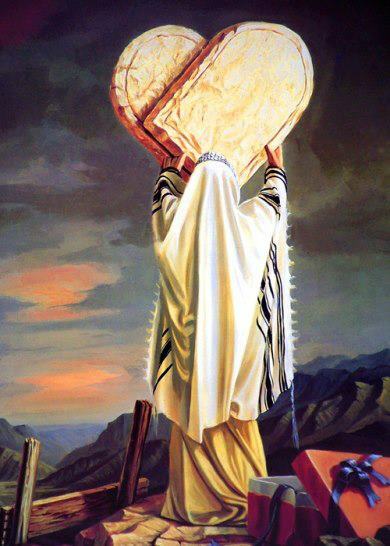 Not only will the descendants last forever, but will keep Torah. Unalterable! Does other Scripture bear this out? If so, does your doctrine account for it? Let’s see. Please notice, this passage from Ezekiel 37 clearly lays out the parameters for the future Davidic Kingdom. Isaiah 2 The word which Isaiah the son of Amoz saw concerning Judah and Jerusalem. Folks, the promise is that in the New Covenant, the Lord will write Torah on our hearts. This can be confirmed multiple places in Scripture. Deut. 6:4 “Hear, O Israel! The Lord is our God, the Lord is one! 5 You shall love the Lord your God with all your heart and with all your soul and with all your might. 6 These words, which I am commanding you today, shall be on your heart. Ezekiel 36:22 “Therefore say to the house of Israel, ‘Thus says the Lord God, “It is not for your sake, O house of Israel, that I am about to act, but for My holy name, which you have profaned among the nations where you went. 23 I will vindicate the holiness of My great name which has been profaned among the nations, which you have profaned in their midst. Then the nations will know that I am the Lord,” declares the Lord God, “when I prove Myself holy among you in their sight. 24 For I will take you from the nations, gather you from all the lands and bring you into your own land. 25 Then I will sprinkle clean water on you, and you will be clean; I will cleanse you from all your filthiness and from all your idols. 26 Moreover, I will give you a new heart and put a new spirit within you; and I will remove the heart of stone from your flesh and give you a heart of flesh. 27 I will put My Spirit within you and cause you to walk in My statutes, and you will be careful to observe My ordinances. 28 You will live in the land that I gave to your forefathers; so you will be My people, and I will be your God. Here we have seen that Moses (Deuteronomy), Isaiah, Ezekiel, Jeremiah and the author of Hebrews all expect that God will change our heart and cause us, by His Spirit, to walk in His Torah (ways, laws, statutes, ordinances, judgments, etc). There are more examples of this very point, but I will not belabor. You may be saying, “But, but, but, Jesus…” So, what did Jesus / Yeshua, say? Matthew 5:17 “Do not think that I came to abolish the Law or the Prophets; I did not come to abolish but to fulfill. 18 For truly I say to you, until heaven and earth pass away, not [a]the smallest letter or stroke shall pass from the Law until all is accomplished. 19 Whoever then annuls one of the least of these commandments, and teaches [b]others to do the same, shall be called least in the kingdom of heaven; but whoever [c]keeps and teaches them, he shall be called great in the kingdom of heaven. Not only does Yeshua / Jesus say He did NOT come to abolish the Law (Torah), but every bit of it will stand until heaven and earth pass away (cf. Jeremiah 31:35-36; Deuteronomy 30:17-20)!! He further says, to annul or teach to annul is a ticket to be least in the kingdom. PLEASE!!! Ponder this deeply before teaching your children or some Sunday school class that the Law no longer applies, or has in any way been diminished! The Messiah who said, “If you love me, you will keep my commandments,” is the Son of David who will teach Torah from Zion and enforce it in the Kingdom. If He doesn’t, then He hasn’t fulfilled the yet future messianic prophesies. Evidence of Him fulfilling parts of Torah in future prophesies can be found in Ezekiel 43 and 44 as well as Zechariah 14:16-21, among others. Make no mistake, these prophesies will be fulfilled literally. I will not press further. I beg of you to please, please set aside church traditions of denigrating and ignoring the everlasting, unchanging Ways of the Lord. When He says Passover is forever, Sabbath is forever, the feasts are forever, etc, I am certain that He means it. The Torah is as valid today as it was 3500 years ago and will be 3500 years into the future. I welcome serious questions and even serious challenges. Most I have already dealt with on this blog. Check the Apologetics page to begin seeing how ALL of God’s Word fits together without needing to minimize or ignore parts. This entry was posted in Debate/Discussion and tagged covenant, Law will go forth, Messiah ben David, New Covenant, Torah, Zion. Bookmark the permalink. Thanks Pete. Well written and thought out. It is all Wonderfully connected – Genesis to Revelation. Blessings. What a gift to have this to share with others & give them something to think about. Thie scriptures are so beautifully strung together it is like music to my ears & heart! Hi Pete, thanks for the teaching! Could you explain Jer 33:34 to me? Is this prophecy in two parts? The SIGN of the New Covenant being fulfilled is that no man will need to teach his brother. Therefore, I am of the opinion that the New Covenant is yet future. We get a taste of it now, but it is not yet….